This month we recieved another lovely selection Degustabox. Unfortunately when my box arrived there had been a curry sauce explosion. I spoke to the team at Degustabox who aplogised and resent a new box. The box had been packaged well so I'm unsure how the leak happened but I was very impressed in they way they handled the situation. Kettle Chips: We had the Salsa and Mesquite flavour that survived our first box and they were really special. The Stilton and Port were lovely too. I will be ordering some of these over Christmas. Cool Dawn Recovery: I am not really into energy drinks at the best of times but these weren't my thing at all. I had a sip and that was it. Not for me I'm afraid. Lindor my melting moment: Lindt chocolate, need I say more? Lovely! Kent's Kitchen. I was a little disappointed with this. It was meant to be BBQ flavour but tasted more like stir fry to me. 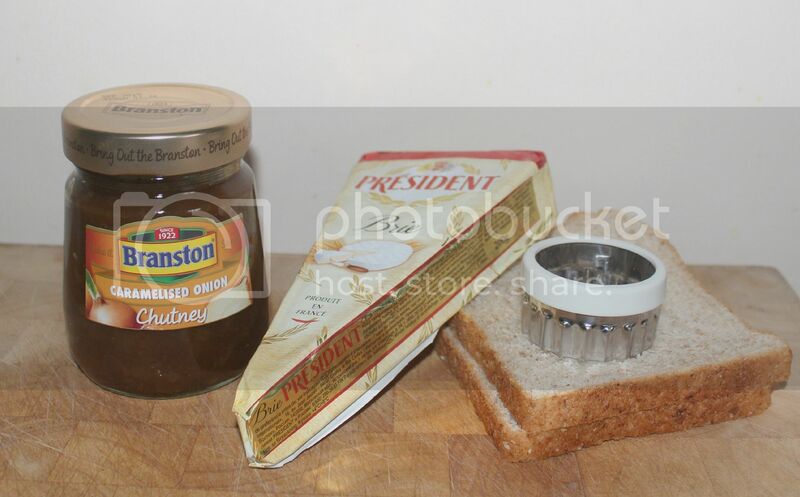 Branston: I didn't realise that Branston did a caramalised onion chutney. It tasted great and is perfect for a boxing day spread. Pip Organic: Apple juice that would be good for the boys in a cafe. Holy Cow: This was a fantastic curry sauce and I will be looking out for these again. They are also gluten free and suitable for vegetarians and coeliacs. Drink me Chai: This sample was a nice extra and I really enjoyed this chai. As I have been working for Degustabox for a year I got a little extra thank you this month which other subscribers who have been with Degustabox from the start would have also recieved. These were Baru marshmallows. A lovely treat and thank you. If you would like to try Degustabox yourself you can use the discount code DXFP6 at the checkout to recieve a £3.00 discount off of your first box. I often make little man cheese on toast for lunch and this is a more adult version that is simple and tasty. Cut out circles with a cutter. 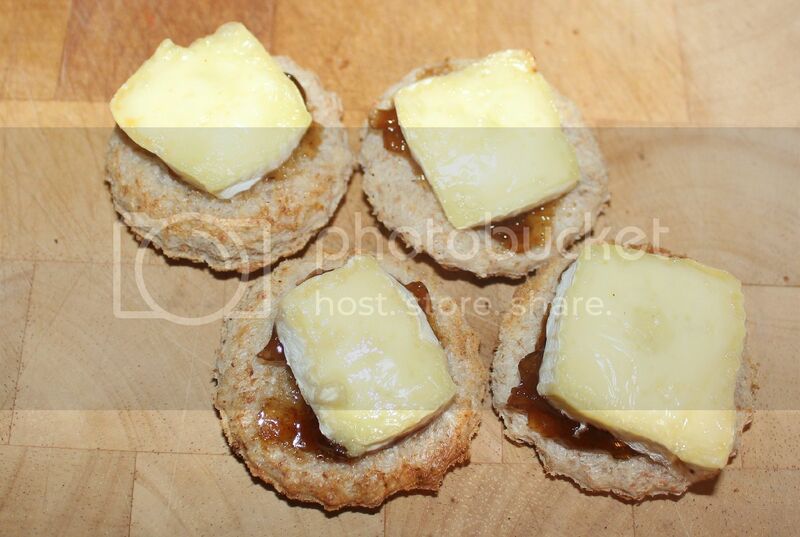 Add some Branston caramalised onion chutney and a piece of brie to each circle. Pop under the grill to melt the cheese. I was given a degustabox for the purpose of this review but the opinions contained here are my own. Love the idea of posh cheese on toast- it's making me hungry. I think I may have to check out Degustabox, I see loads of bloggers enjoying it and the stuff always looks great.